According to the U.S. Department of Justice, nine million convicted criminals, most non-violent offenders, rotate into and out of various correctional facilities each year. Over 650,000 of these enter into communities needing some type of job. These astounding statistics represent a vast and diverse workforce that is largely untapped. Given the size of this important labor pool, the diminishing state of the future workforce, a company’s responsibility to its community, and U.S. Equal Employment Opportunity Commission (EEOC) requirements on employment discrimination, it is worth exploring the opportunities and legal requirements surrounding hiring a ‘next-chance’ individual. First, rules and rights vary according to Federal and State laws and small businesses might feel overwhelmed . 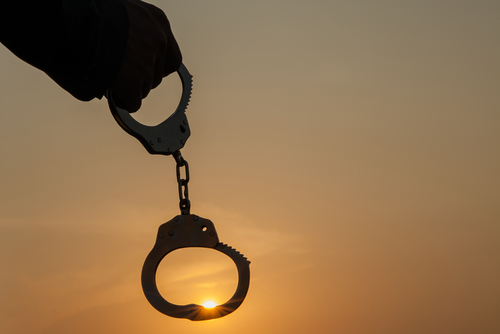 If your firm is considering hiring a candidate with an arrest record or criminal conviction, the U.S. Equal Employment Opportunity Commission enforcement guidance and NOLO’s State Laws on Use of Arrests and Convictions in Employment are important resources. The EEOC website (Section IV.) offers various scenarios that will help avoid hiring mistakes when it comes to applying the law. 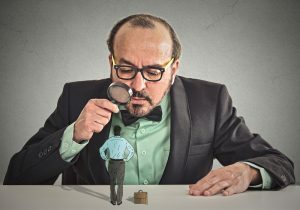 Background Checks: Under Federal law, it is not prohibited to make an inquiry into a person’s criminal background. In fact, over 90 percent of companies run criminal background checks on new hires. A business’s first obligation is to keep its current employees safe and to avoid exposing the business to risk or liability. However, an employer may violate Title VII of the Civil Rights Act of 1964 if it appears there was discrimination or inconsistency in the hiring process. Banning the checkbox for criminal convictions on hiring applications is one way to help ensure fairness in the initial selection process. Later in the hiring process, applicants may discuss the context of an offense and make a case for their employment. Read more about the pros and cons of “banning-the-box” (Ban the Box: Fix it or Start Over? SHRM). Consistent Policies: Understand the level of risk for open positions and create clear hiring policies. For example, a fiduciary responsibility carries a greater level of risk, so there are Federal laws that pertain to the hiring of bank employees. Therefore, it would not be discriminatory to have a policy that forbids hiring someone with a criminal history of financial crimes to work in your accounting department. The key is to create consistent hiring practices. The general rule is that policies must be able to show that positions excluding applicants are “consistent with business necessity” (EEOC, B.9.). Hiring Discrimination. Employers must pay particular attention to Title VII-protected classes when it comes to employee screening. This is because of the disproportionate number of minority offenders versus white offenders, leading some employers to give “disparate treatment” to those candidates (EEOC, III C.). For example, an employer could violate Title VII by hiring a white applicant with a criminal record, while declining to hire a Latino or African-American with the same background and skills. Human resource managers must be able to show that their criminal record screening and hiring do not have a “disparate impact” upon protected classes (EEOC, IV.). Arrest or Conviction? “Innocent until proven guilty” still applies to hiring. There is a difference between an arrest record and a criminal conviction with certain narrow exceptions. One example is an applicant who is arrested for a DUI and who is applying for a job driving a commercial vehicle. Given the context, the business could face liability if such a person was hired and an accident occurred. Since state and Federal laws vary widely on the reporting of arrest records and the ability to ask questions about arrests versus convictions, be sure to check with your state employment office to obtain guidance for exceptions. A next-chance hiring program that understands the law and combines skills assessment and training, support, patience, commitment, and a collaborative approach between local government and community resources, can redeem a life. Join with those companies who are giving ex-offenders their next chance. Partnership Employment can help you determine the job skills and requirements necessary for both security and success.